We talk a lot about green ways and green living. We read a lot of green living blog, newspapers and hear a lot about the effects on our planet. We read, listen and give ideas alone, but, have we ever tried to reduce the rate of impact on our planet. If you think that, you as an individual cannot make changes in the society, then you are wrong. Yes, you can make changes and help improve our planet from the worst. Are you wondering how? Well, there are lots of green technologies that can be implemented in your home. This will not only be helpful to you, but also to the planet. And the main reason to start with your home is, people around you will have their first sight on your home rather than your green practices. This will also make them follow you. In this way, the contribution will not alone be from your side but also from others. Here are some of the green technologies that can be implemented in your sweet home. 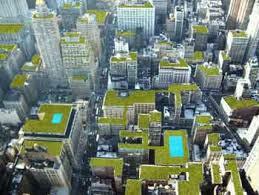 Green roofs are getting popular nowadays. This will not only reduce the temperature of the halls and rooms, but will also will a pleasant climate in the surrounding. These are designed to offer solar reflectance and decrease the thermal emittance. During the summer, the normal roofs can be heated up to 65 degree Celsius, but a green roof can reflect the rays and cool down the temperature. This itself is a great advantage, but the real advantage is that the consumption of energy can be reduced a lot. This will also reduce the emission of CFC’s and other dangerous gases into the environment. Wondering how! When the interior is cool enough, the use of Air Conditioners will be reduced a lot. So the emission of gases can be cut down to a great extent. This can be achieved very easily. Paint the roof with special reflective paints. This technique is eco-friendly and will not cause any damage to the surrounding. Insulating our new house has been a new technique which is being carried out now a days. People go with paints and other stuffs to insulate their homes. But, these insulations are not going to be seen out and so why not we go with old stuffs and junk materials. Green insulation means using recycled materials to insulate our house. Have you ever imagined that your favourite pair of pants can become insulation for your house? Yes, it can be. 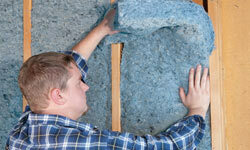 The Cotton insulation that is getting popular now a days is using recycled denim jean scrap. Other material is Cellulose. The material that is used is very common in our homes. Do you know what that material is? Newspaper is the mystery material that is being recycled into several forms, but, the most common form is cellulose that can be sprayed on the walls rather than pasting as thin sheets. This cellulose material has about 80 % of the recycled material and it is better for our health too. Cotton and cellulose insulation is the best green insulation for our home. We see a lot of building coming up now a days. But, every building has the ill effects towards our environment. Yes, it is not possible to remove away all the effects right away, but certainly we can reduce the effects to a certain amount. Biodegradable materials can be disposed easily and also recycled without any worry. We can use the biodegradable paints which use milk as its main source. 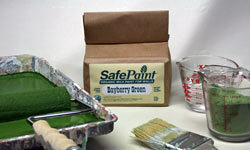 This paint contains milk, lime and other natural pigment for color. This creates an organic paint mixture. Other organic way to enhance our home is by using fibreglass insulation, which can naturally break down and cause nothing to the soil and environment. Rammed Earth brick can be a strong support for your house. 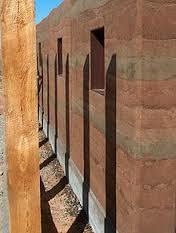 Traditionally, rammed earth and adobe were used as a raw material to construct a building. Great Wall of China was built using the rammed earth and now you would have understood how strong these bricks are. The mode of preparation has never changed from past to present. The moist mixture of earth is taken and then mixed with clay or gravel and is compressed to form a solid dense. It is then allowed to dry up in the sun. The advantage of rammed earth is that it will keep the summers cool and the winters warm. This can be easily set up using modern techniques and still have the same effect as thousands of years ago. This material is mush efficient than the other techniques which is being followed to construct a house. Water runoff is the main cause of mineral degradation. In rural areas, a large amount of plants is washed away by rain. Erosion is a dangerous phenomenon and the factor is not better in urban areas. The runoff of sewage water can flood the street and buildings. This condition is worse for driving, walking and also for our health. With Proper landscaping and drainage system, these floods can be managed easily. Rain water harvesting technique is a better way. Also many trees can be set up in the ground to prevent the runoff of soil and precious minerals. As we use plants for Water management, geothermal heating goes into using the earth’s natural resource for producing power. Like the solar power and wind energy, geothermal is also eco-friendly and also more efficient than coal burning and other ill methods. You may think that, this method can be a flop in the winter season, but, that is not the case. The pipelines are buried under the ground and so that cold temperature will not affect the pipes buried underground. This technique uses water that is pumped into the pipeline. Yes, the pump needs electricity, but you will receive more power than you have put in. 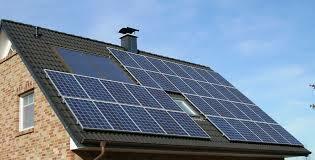 Solar panels are the best source of electricity production. This is eco-friendly, uses the natural resource to produce the power and is also very easy to set up. The photo electric cells inside the panels have a lifetime of 10 years and so the maintenance cost is also very less. The only requirement for the solar panel is that it needs to be dusted every week for efficient production. The sun rays are absorbed by the cells and then transmitted into to the batteries or the power stations. This will reduce the electricity consumption to a great extent and help improve the economy of our nation. The massive heat rays that get in through the windows during the summer are a big headache for all home keepers. This will bring cracks in the windows and also heat up our interiors. This will make the home-stayers go for Air Conditioning systems. Do we really want an AC to reduce the temperature? The better idea is to go for smart glass. 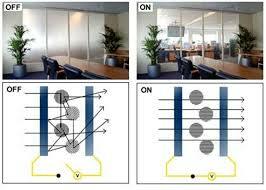 Smart glass is an electro chromic glass that has tiny ions which charge up by the sun rays. This glass will also reflect a large amount of rays back into the atmosphere. The best part is that you can choose how much amount of sun rays you want to reflect. A lot can be expected from these glasses in the future. Let’s hope for the best. We seek technology to make our life simpler and easier. The technology that we have today is making our life simpler, but is not making it easy for the planet. So, why don’t you go for techno that offer you both. Yes, there are products that will make our life easier, reduce the effects on the planet and also reduce the energy consumption in our homes. There are lots of smart appliances that can choose when to run ad when to stop. Like the LG refrigerators, this will stop as soon as the set temperature is reached. This is a great technique because the electricity consumption will be reduced to a great extent. 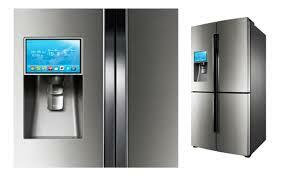 And also these refrigerators can tell you if the fruits and vegetables are fresh or going bad. It is difficult to achieve Zero energy home, but we can certainly reduce the consumption to a great extent. Zero energy homes are homes that operate on their own power. These homes do not want a power grid. They can produce their own power. And also they are called so because the emission of carbon content in their homes is very less or nil. These homes are built with solar panels, insulators and other techniques that were mentioned above. These kinds of homes are raising a lot more than our expectation and yes, they want power during construction, but, this power is taken from the solar panels and wind supply. It is also not easy to build a green home when considering about the cost, but, the government is slowly supporting people building these kinds of houses. Let’s all move towards these kinds of technologies rather than killing our earth.